HERstory – A night of poetry, music & more! 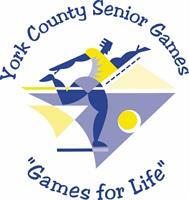 VOLUNTEERS NEEDED FOR THE 2019 YORK COUNTY SENIOR GAMES! York College's J.D. Brown Center home to company that created free app to connect residents and police departments. The Parliament Arts Organization to host King Street Jam, June 22, in York, Pa.
York SHRM is pleased to feature Dr. Amanda Kemp at its Annual Diversity meeting. Conrad Siegel’s PTO Survey Reveals Benefit Trends in Central Pa.